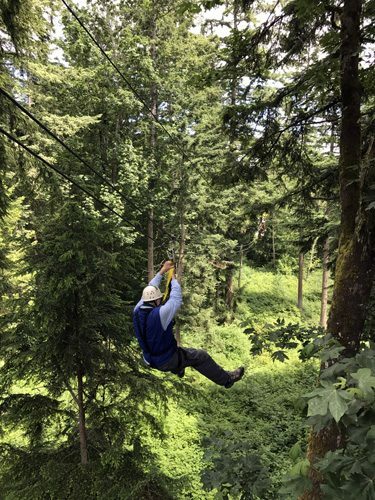 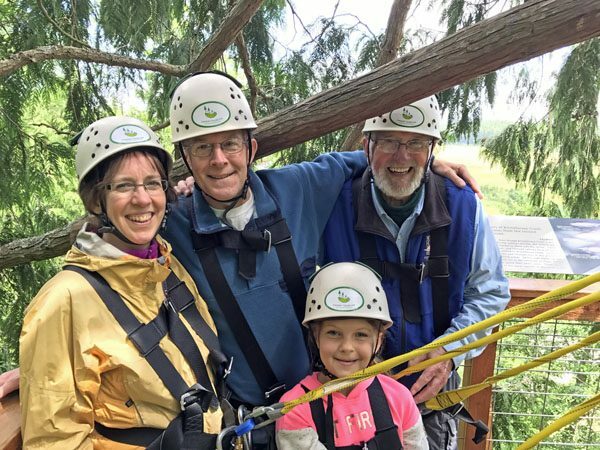 We had a very fun family outing with the friendly guides at Canopy Tours NW Zipline Adventures on Camano Island, about an hour’s drive north of Seattle. 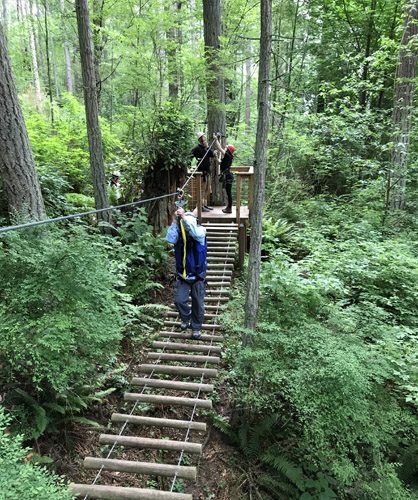 Camano Island is accessible by car over a bridge, and also makes for a nice rural day exploring around its few quaint corners. 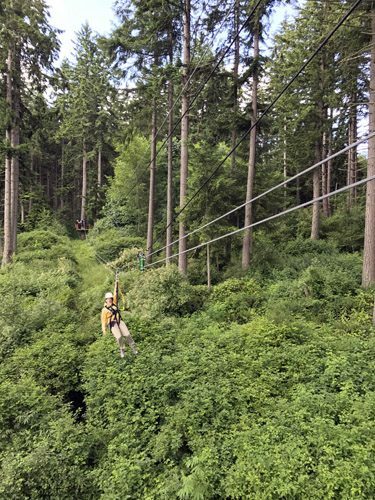 The zip line tour started at a main facility near a farm, everyone suited up in their zip line safety gear, and then we were taken uphill into forest via an old War World 2 era open troop mover truck. 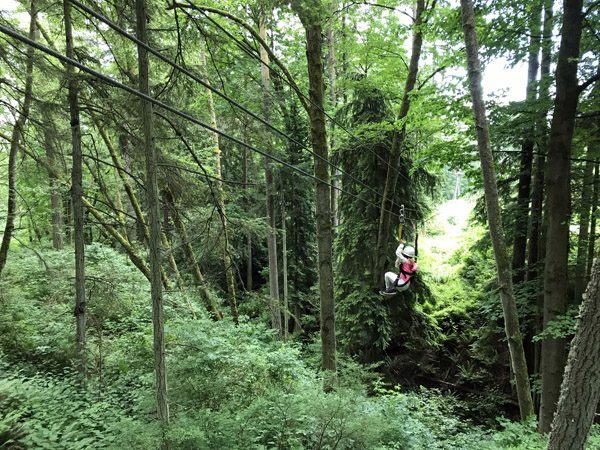 After a short walk to the first zip line, we were moving from platform to platform both within and above the trees. 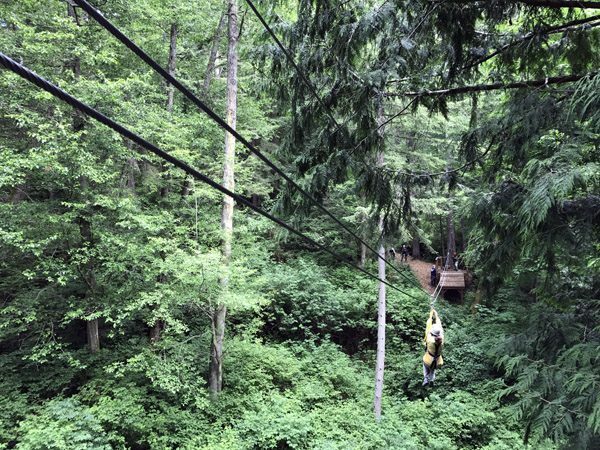 There were 6 different zip lines, one longer than the Space Needle is tall, plus some extras like a wobbly log bridge and a rappel line back down to earth. 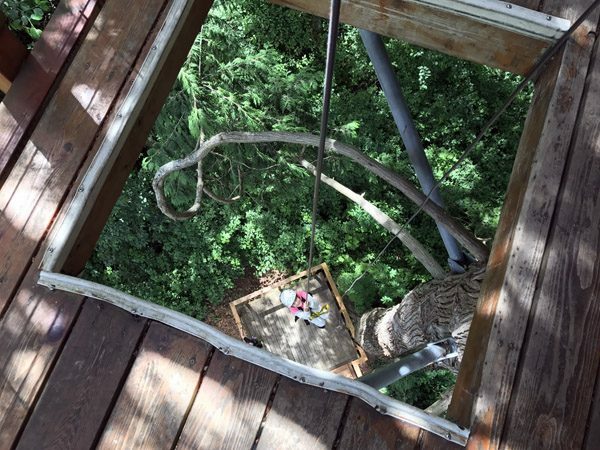 Laughs, fun, and woo hoos were all over the place.